Show your pup some love! The GO! 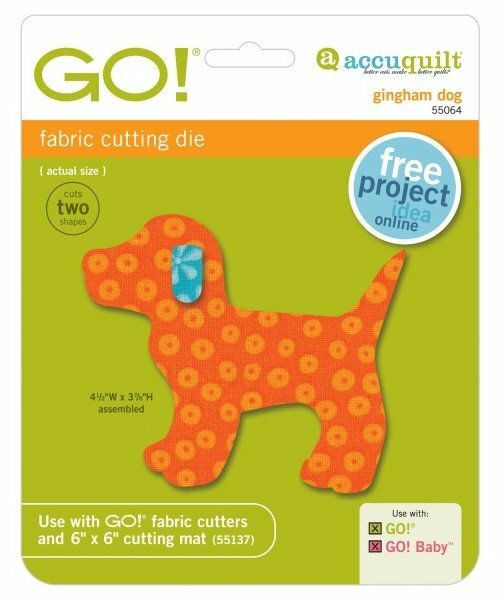 Gingham Dog is a cute puppy silhouette that makes fun wall hangings, quilts or appliques on all sorts of projects. To make a super-quick dog applique, simply apply fusible web to the wrong side of your fabric, then cut with this die.